Whale Class is made up of three different year groups (Year 2, 3 and 4) and are taught by Mrs Saunders, the class teacher and Miss Morrison, the classroom Teaching Assistant. The children take great pride in their class and the work that they produce. They work hard and use perserverance, patience and responsibility to nurture success in themselves and their class mates. 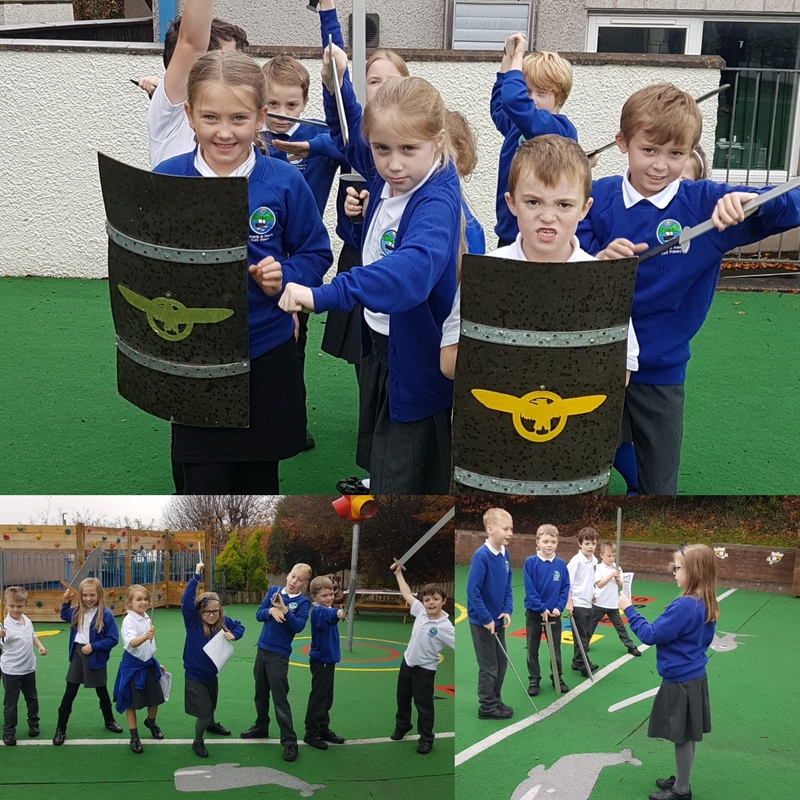 Through the whole of Autumn term, Whale Class have based their all of their learning on our class topic: The Romans. 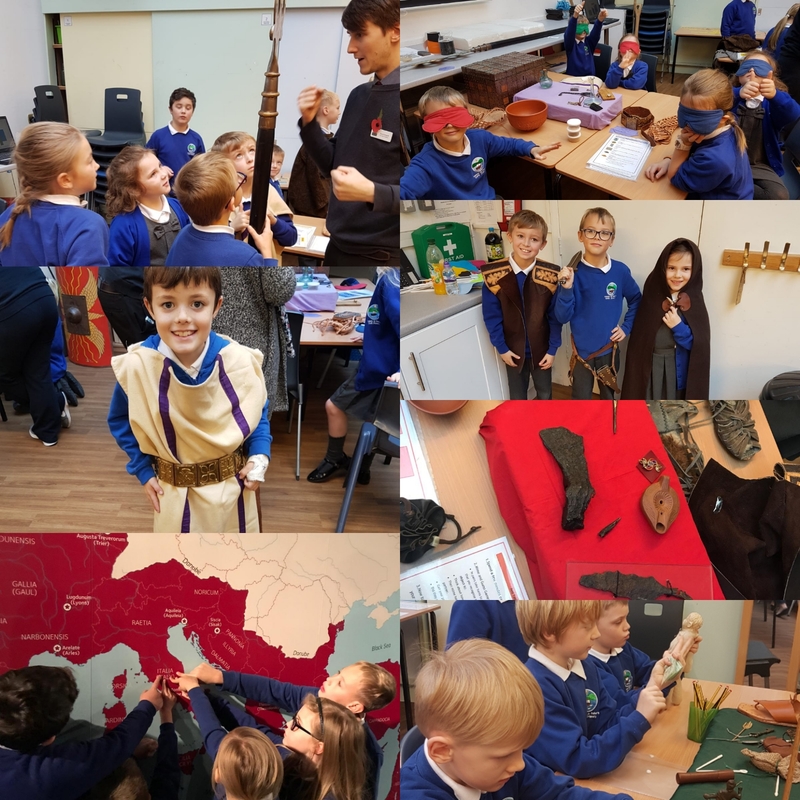 The children loved learning about life in Roman Britain and especially enjoyed our trip to Tullie House Museum in Carlisle where we identified artefacts in the Roman Exhibition and participated in a fabulous workshop! In English, the children learnt about Bouddica and the Roman invasion. The children wrote calls to war as if they were Bouddica and read them to their troops before we recreated the battle! In R.E and PSHE we discussed this activity in the context of our value of the month, peace. In RE, during our first term, we focussed on the unit 'The People of God'. 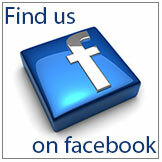 Our topic question was "What is it like to follow God?". The children examined various bible stories from the Old Testament and linked this to experiences from their own lives. They particularly enjoyed a lesson of hot-seating, where they were able to interview Noah about the flood and his relationship with God. We further explored our Christian values during our Harvest festival where we collected food donations and performed a poem at the Harvest Festival service at Church. Whale Class also wrote and delivered their own class worship linking the story of Noah to our monthly value of hope. During Spring Term, Whale class have based their learning around their new topic of 'Dragons'. The topic has allowed the class to explore a number of special events taking place this term around the world, such as Chinese New Year and has allowed them to look at myths and symbology whilst studying the Anglo Saxons and Vikings in history lessons. 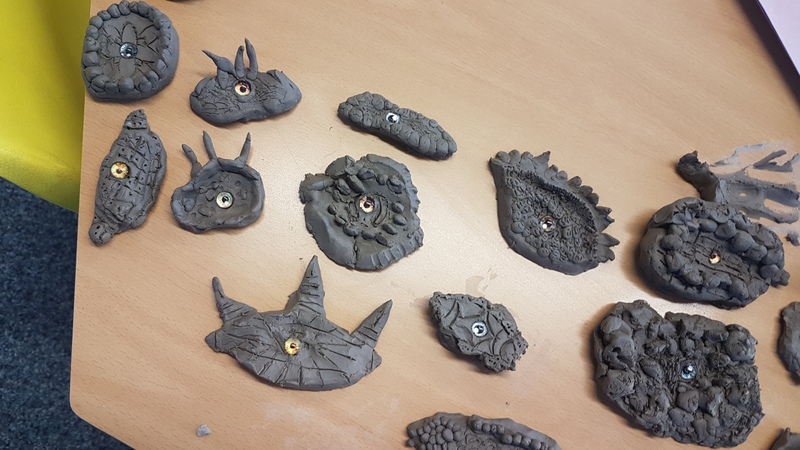 As part of our topic, the children worked very creatively to design and mould their own dragon eyes out of clay. In English, the whole class is very excited to begin their story for the BBC 500 words competition. 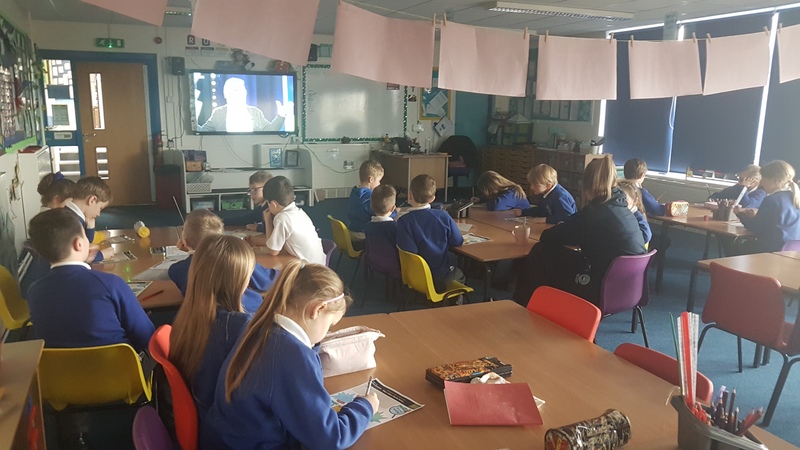 The children took part in the BBC Live launch lesson, hosted by children's authors Charlie Higson and Frank Cottrell-Boyce and have already produced some brilliant writing. In Maths, the children have continued to practise their times tables using Times Tables Rockstars and have been making great progress! In RE, the children have been looking at the unit of 'Salvation'. Our Topic question was "Why do Christians call the day that Jesus died Good Friday?". As part of this topic, we have learnt about the Easter story and looked in depth at the different events of Holy Week. 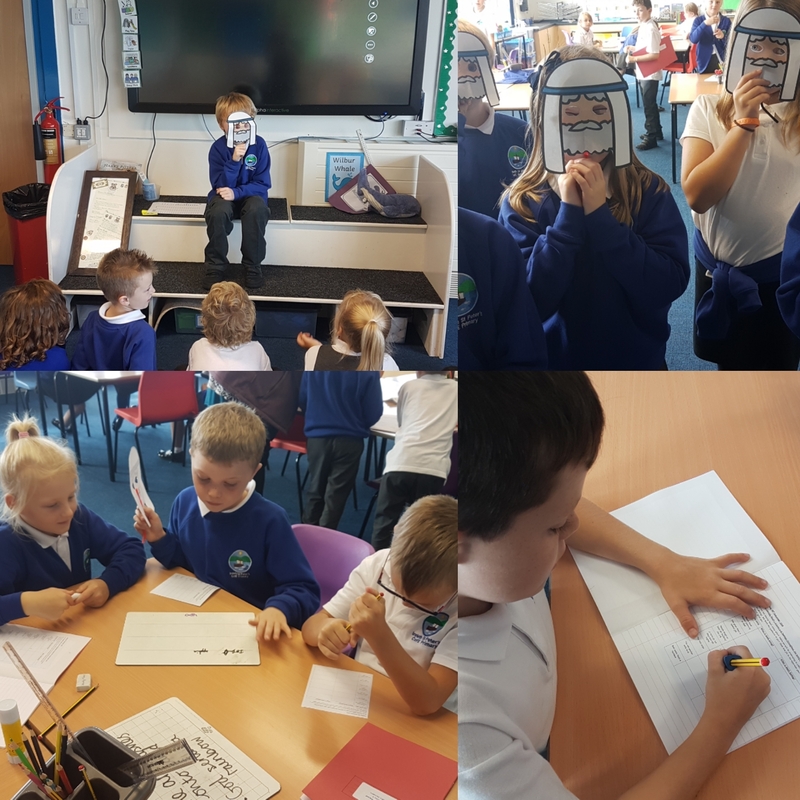 The class have thought carefully about how these events link to previous parts of the bible that we have studied and also thought about how it impacts the beliefs of modern christians today. 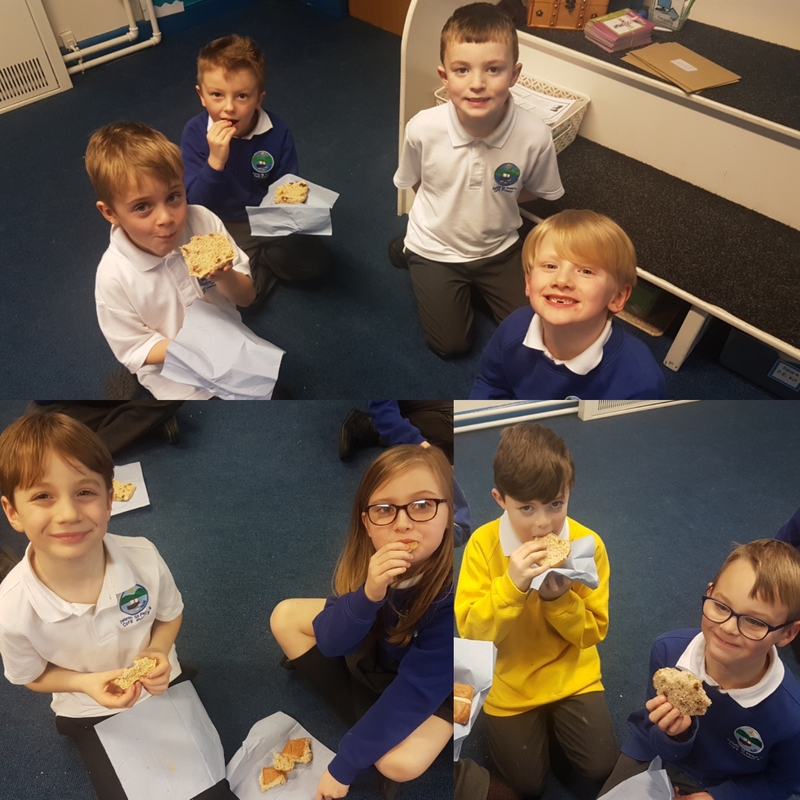 The children wrote diary entries from the persepctive of people involved, produced freeze-frames of different events and even tried hot cross buns! 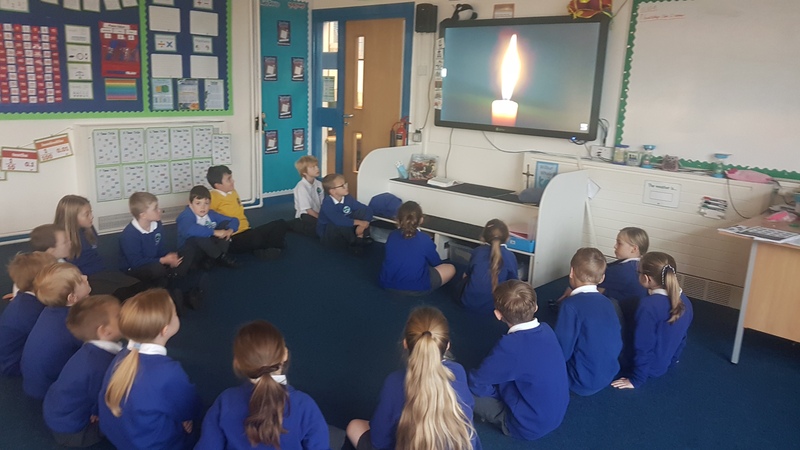 Whale Class have really enjoyed having lots of input into our class worship sessions, exploring our monthly values and have thought of lots of creative ways to show that it is a special and reflective part of our school day.